We have spoken to our students, we have spoken to our teachers, then we spoke to the Directors! 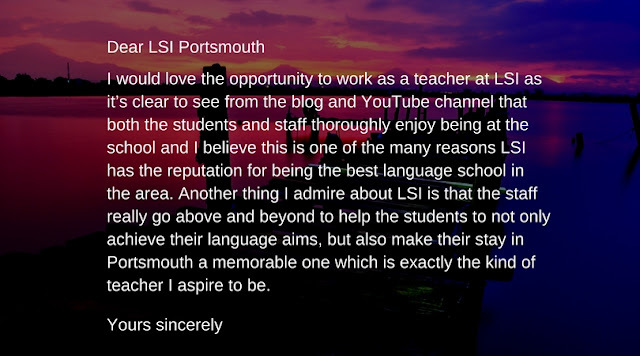 Now we hear from the Principal himself - Andrew Edwards, why the Portsmouth English language school: LSI Portsmouth is such a special place to study particularly if you want to learn English in the South of England. Not only is LSI Portsmouth one of the best language schools in Hampshire, it is one of the best language schools in the UK, we were voted joint number one by the EL Gazette, the most popular industry standard magazine. 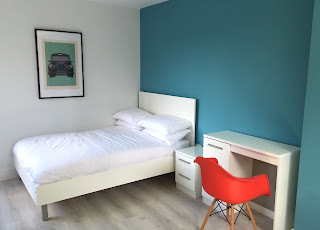 LSI Portsmouth's Brand New Self-catering Student House - right next to school! We are really happy to be about to launch our brand new self-catering student house, St Michael’s, which will become available for our students in just a few weeks. As you can see from the photos below, the house has been beautifully redecorated and furnished and everything in it is brand new. 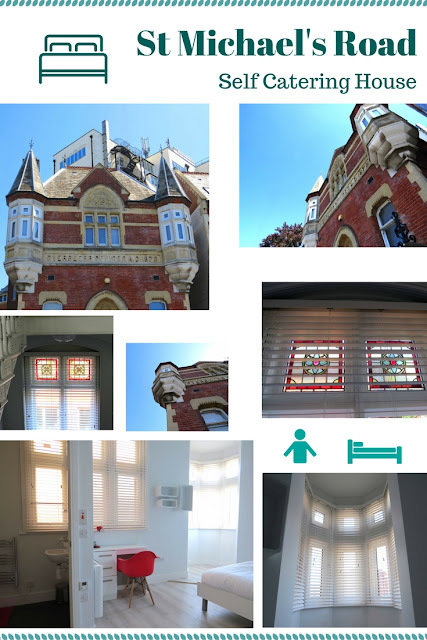 We know it’s going to be a lovely place for our students to live in and it will have a live-in House Manager to keep things well organised for them too. 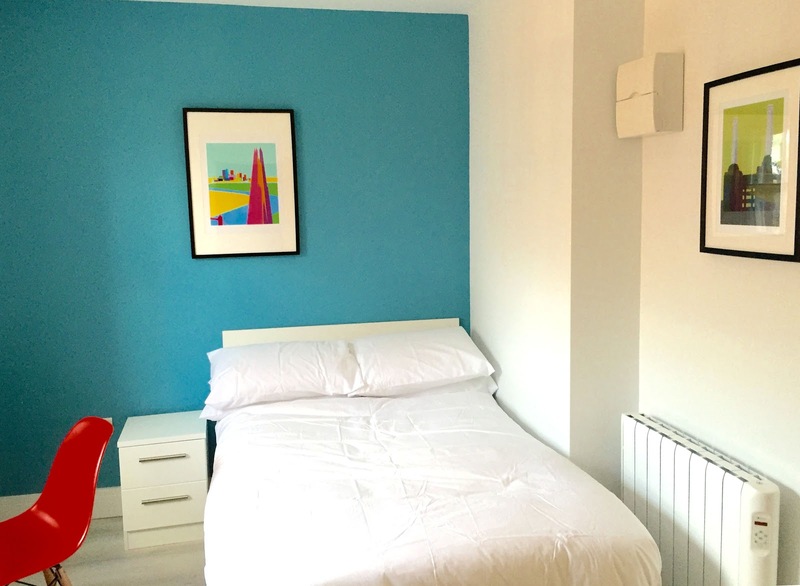 There will be twelve study bedrooms for students, all of which have their own private shower and washbasin, plus there will be two bedrooms with full en suite bathrooms and there are five communal shared toilets in the house. There is a large kitchen/dining area with 2 large fridge-freezers, 2 washing machines, 2 tumble dryers, 2 sinks, 2 cookers, a large dining table and sofa and a 50-inch smart TV. Also there is a storage room. 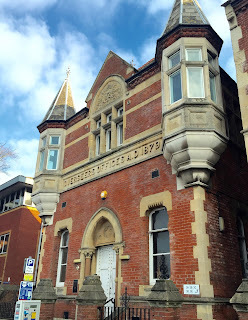 The house will have free WiFi and the house is exclusively for LSI Portsmouth students. Better than this, it will be ideal for those students who - how shall we put it? – are very keen sleepers and don’t like to walk far to get school. Yes, we do know you are out there! The house is right behind the school and literally 50 metres or 1 minute’s walk from the front entrance, a really great plus point for those students who like to be independent, cook for themselves, but live in a nice mixed, multi-national environment with other LSI students from all over the world really near their school. Please contact the school for more information or to check availability as the house will be very popular, we are sure! We now also have 'How to Tie a Tie' with one of our best dressed men - the Vice Principal and How to Replace an Inner Tube with Dave one of the most practical teachers on our staff. 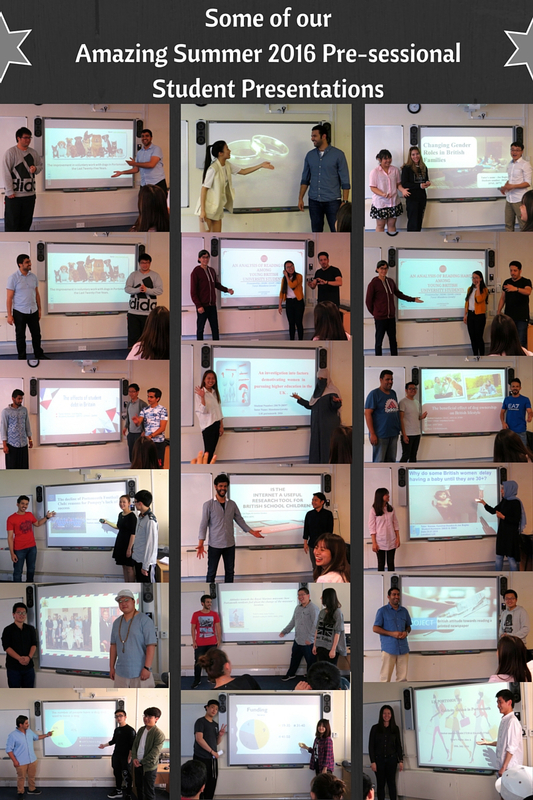 Recently our summer 2016 Pre-Sessional students completed their 'Project 1' and gave their first formal presentations. Above you can see some examples of their fantastic work (not all were available on the day to photograph). Despite some nervousness, the students did really well and everyone was very proud of their work. 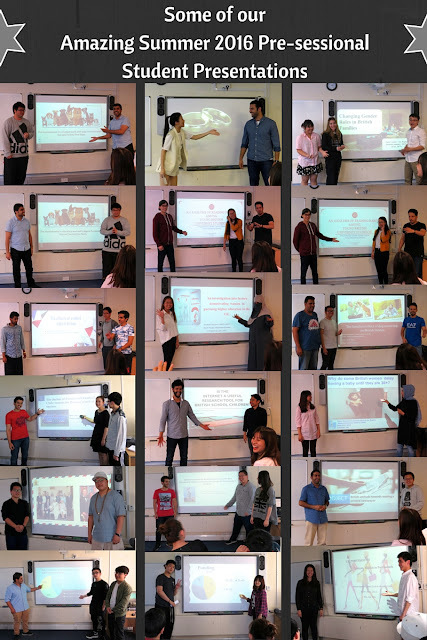 The standard of their presentations was outstanding. They now have just 6 weeks of their course left until they finish their Pre-Sessional course and start their exciting adventure at the University of Portsmouth”. We are so excited to launch our new series of video lessons! Everyday English with subtitles. As teachers (and also language learners) we know that there is a lot of language you need in everyday life that is not necessarily taught in a course book or at school. The type of language that no-one really thinks about, it might not be grammatically correct but it is used in normal everyday life. Our wonderful LSI Portsmouth teachers and friends have made a selection of little videos showing everyday activities. All these videos have subtitles and the tape script in the video description, so you can see the language used. Some of them also have downloadable PDFs with further language explanations. We will be publishing them weekly for the next few weeks. Massive thanks to Alan, Catherine and Rosie for these first two videos. As a little side note, most of these videos are perfect for IELTS task one processes, so if you are teaching or studying IELTS, do have a look at the language, it could be really useful for you.